I am definitely someone who enjoys living in the moment, but I am also notoriously prone to looking forward, my gaze fixed firmly on the next, the new, the up-and-coming. 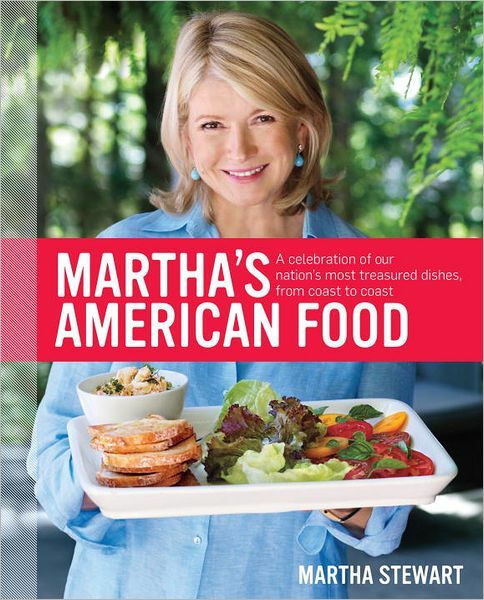 Martha's 77th book will be released on April 24th, 2012 (after the release of Everyday Food Light, which comes out on December 27th, my birthday). The book, entitled Martha's American Food: A Celebration of Our Nation's Most Treasured Dishes, From Coast to Coast, promises to be yet another essential encyclopedia of classic recipes for Martha Stewart collectors and connaisseurs. The hardcover, 432-page book was authored by Martha and will present the most celebrated and most culturally-recognized foods from the United States. I'm really looking forward to it! Hi Natalie! You should definitely get the new Entertaining book. It is incredible. A true Martha classic! Well, the Today Show was a media segment, filmed last week, long before Thanksgiving. Martha did, in fact, spend Thanksgiving with Alexis and Jude - in private. No cameras. As for her charity work, Martha created the Martha Stewart Center for Living at Mount Sinai Hospital, which also includes a beautiful community garden, in Manhattan. It is filled with volunteers and benefits geriatric research, provides respite support for the elderly and helps the community in many ways. Martha has tremendous sensitivity and cares deeply about many issues. I don't think she needs to shout it from the rooftops. I liked many of the recipes in this book and I really like how it was divided by seasons and that there were pictures for every recipe. I would have liked to see more vegetarian recipes, even though I'm not a vegetarian I'm tryig to eat less meat.